The Society's profits were hit by a £167m spend on asset write-offs and technology investment.
" We took the conscious decision to increase significantly our investment in the Society in the full knowledge that it would impact profitability in the short-to medium-term." Nationwide has reported a 21% dip in third quarter profits due to the cost of writedowns and additional technology investment, but insists the spending is vital to "meet members’ future needs". In its latest statement covering the period between April and December 2018, the Society recorded underlying profit of £691m, down from £880m in the previous year. Nationwide spent £167m on asset write-offs and investment in technology over the nine month period. Nationwide also announced a 56% rise in net mortgage lending from £3.9bn to £6.1bn over the same period. 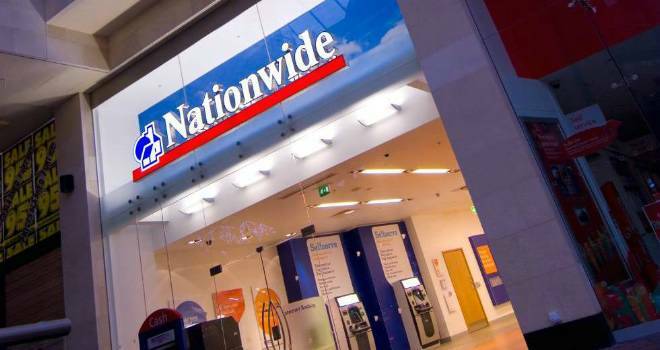 Nationwide's chief executive, Joe Garner, said: “As a mutual we are different in having more scope to make decisions in the long-term interest of our members. In September we took the conscious decision to increase significantly our investment in the Society in the full knowledge that it would impact profitability in the short-to medium-term but would be of long-term benefit to our members. "Underlying profit for the first nine months of the year, at £691 million, is broadly flat year on year, excluding a charge of £167 million relating to asset write-offs and additional technology spend. This investment is to ensure we can continue to meet our members’ changing needs in an increasingly digital future. At the same time, consistent with member feedback, we remain committed to and are investing in our presence on the high street.